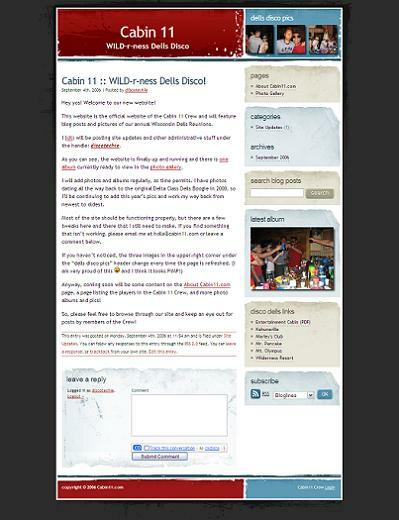 Update: Cabin11.com was a sweetass site, as you can see in the image… 🙂 But it was getting way too tedious to manage so many personal sites, so I have since taken it down and merged it with cKdisco.com, here. Just wanted to write a quick post to announce the launch of Cabin11.com. It’s a site that will host blog posts and pics of our annual 4th of July reunions with our best friends. It took me awhile to get it all together and there’s still a few tweaks I need to make, but I’m really happy with how it has come out. Please feel free to check it out and comment!